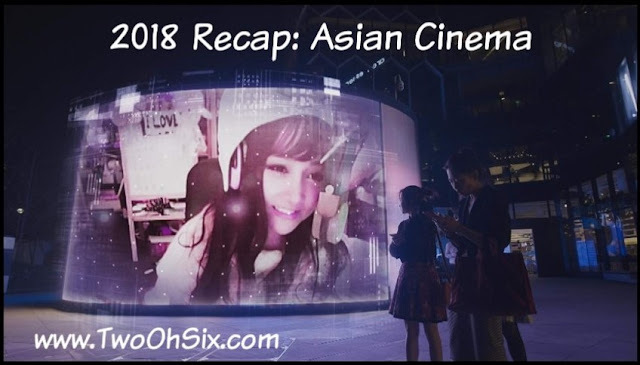 While I don't necessarily consider Asian Cinema to be a genre, it is quite often the source for some of my favorite movies each year and 2018 was definitely no exception. Out of the twenty three movies watched and I have chosen six of them as my nominees for the 2018 TwoOhSix.com Favorite Asian Film Award. For Love's Sake / 恋のしずく - Director Naoki Segi takes the same care and attention to detail as the brewery masters he honors by creating a story about finding your passion and choosing your path in life. Ghost Mask: Scar / ゴーストマスク-傷- - The exploration of how beauty is viewed within both Japanese and Korean culture is very eye opening and adds layers of depth to the story. The Hungry Lion / 飢えたライオン - Inspired by real life news stories, Takaomi Ogata's latest feature will stick with you thanks to a unique visual style and an authentically engaging performance from Urara Matsubayashi. One Cut of the Dead / カメラを止めるな！ - One Cut of the Dead is everything I love about watching movies. No joke, I had tears of joy from watching this film. Operation Red Sea / 红海行动 - Operation Red Sea is one of the best military action movies I have seen in years. Shoplifters / 万引き家族 - Shoplifters is a uniquely powerful look at the concept of family and how director Kore-eda Hirokazu brilliantly deconstructs what we have always believed that should look like. Which of these films will be selected as TwoOhSix.com's Favorite Asian Film of 2018? Watch for my TwoOhSix.com awards post to find out. The list below is a recap of all the other documentaries I watched this year including links to reviews for each film. Thank you for following along on this journey and watch for more 2018 recaps including the TwoOhSix.com awards post where you will see which films and performances came out on top from several categories including favorite documentary.